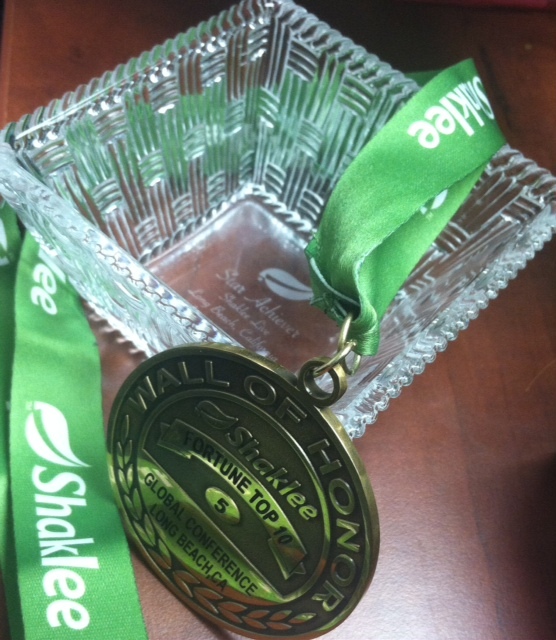 Our Shaklee Success Is Thanks To You! The trek back home from Shaklee Live in Long Beach was beautifully short, but the memories will last forever. We were blessed to receive multiple awards & honors this year as Dream Trip 2014 qualifiers, Million Dollar Earners, and of course, our 50 years in Shaklee longevity milestone. We also left with these tokens as Star Achievers in 2 categories: Sponsoring & PGV Growth and for the 4th year in a row since its inception, a medal commemorating being #5 on the Fortune Top 10 Wall of Honor. Thank you Shaklee for our recognition and thank you to all our family, friends, customers, & colleagues that help us continue doing what we love to do!